(June 17): The US$150 million (RM562 million) loan from the Export-Import Bank (Exim Bank) to debt-ridden 1Malaysia Development Berhad (1MDB) for the purchase of land in Pulau Indah is an abuse of power as the bank is not mandated to provide loans for domestic property purchases, says DAP. 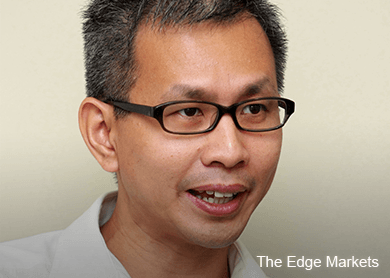 DAP national publicity chief Tony Pua today said the government's letter of support to Exim Bank, which is owned by the Finance Ministry, was proof that the cabinet was willing to abuse its powers to conduct a "double bailout" of 1MDB and Tadmax Resources Bhd, which had sold the 125ha land to the state investment firm in February. Tadmax, which is helmed by Umno-linked individuals, is also known to be bleeding financially. Pua asked in a statement today what was so strategic about the land purchase that it could not be terminated, given that 1MDB was winding down and disposing most of its key assets. "Why did the government provide a letter of support for a US$150 million (RM560million) loan which was more than double the RM262 million outstanding amount payable to Tadmax for the property purchase? "Isn’t this an abuse which is not only to provide 1MDB with desperately needed cash flow, but will in the end only increase the company’s debts and liabilities?" he said. Pua said it was not difficult for 1MDB to terminate the transaction and cut its losses on the deal, especially since the land was only valued at RM9.93 per square feet (psf) by Tadmax itself in August 2011 but was sold to 1MDB for a massive profit of RM21.80 psf. Deputy finance minister Datuk Chua Tee Yong confirmed in Parliament on Monday that the government had given a “letter of support” to Exim Bank for a loan by 1MDB, but had refused to disclose the detailed terms of the loan citing banking secrecy. According to Pua, Tadmax was formerly known as Wijaya Baru Global Bhd, which was linked to the the RM12.5 billion Port Klang Free Zone (PKFZ) scandal. Wijaya Baru Global Bhd (Tadmax) is the parent company of Kuala Dimensi Sdn Bhd (KDSB), which was appointed the turnkey developer by Port Klang Authority (PKA) for PKFZ. Tadmax’s single largest shareholder then was Datuk Seri Tiong King Sing, the Bintulu MP, who was also the chief executive officer of KDSB. He sold his 30.15% equity in Tadmax in 2011, and holds only a 5.53% interest in the company today. Former Umno treasurer Datuk Seri Abdul Azim Zabidi is chairman of Tadmax, while Datuk Faizal Abdullah deputy chairman of the Umno Kapar division is the chief executive officer. Pua added that Faizal had previously admitted that the sale of land to 1MDB would ease the debt burden on Tadmax which has only RM124,000 in cash reserves against borrowings of RM220.5 million as at September 2013. Tadmax is bleeding financially with a net loss of RM8.52 million on revenue of only RM3.55 million over the same period.